We're over halfway now through our Kind Words Challenge! Please don't forget to share with us some of what you got up to! 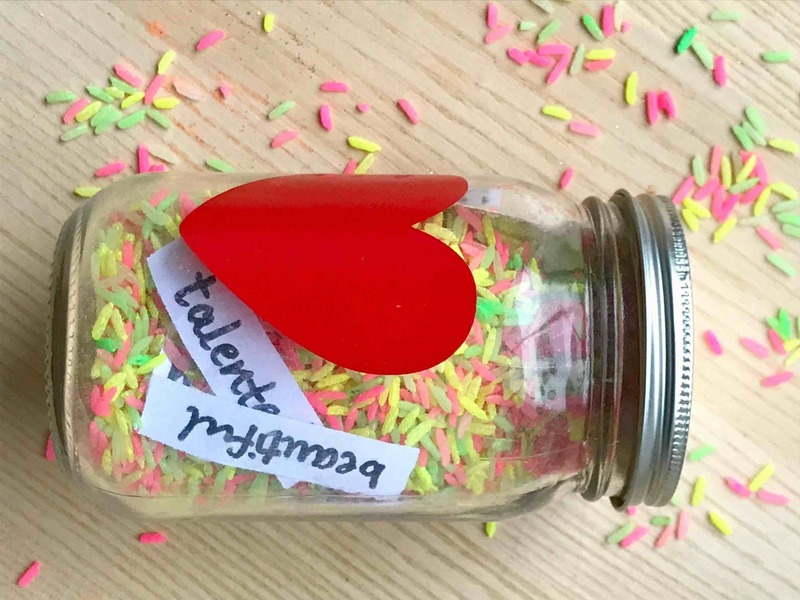 Fill a jar with 10 things you like about someone and give it to them as a gift! Is there someone in your life who deserves an extra special shout out? Perhaps a grandparent, teacher or special helper? Think of 10 things you really like and admire about that person and write those onto individual strips of paper. Once they're all written, drop them into a clean jar with a lid. Make a label for the front of the jar and write "10 things that make you great!" on the front. Give the kindness jar to your recipient and watch their smile as they read the lovely messages! Is there someone in your life who deserves an extra special shout out? Perhaps a grandparent, teacher or special helper? Think of 10 things you really like and admire about that person and write those onto individual strips of paper. Once they're all written, drop them into a clean jar with a lid. Make a label for the front of the jar and write "10 things that make you great!" on the front. Give the kindness jar to your recipient and watch their smile as they read the lovely messages! Tell your parents that you love them! Well, this act of kindness couldn't be simpler could it?! So often we don't stop to tell our parents that we love them or why we are so thankful for them. Can you take a moment today to stop, give your parents a hug and say "I love you! Thank you for everything you do for me!" You will absolutely make their day. Can you take a moment today to stop, give your parents a hug and say "I love you! Thank you for everything you do for me!" You will absolutely make their day. Write some simple acts of kindness onto strips of paper, such as "give someone a hug", "tidy up three things" etc. Then fold them and put one inside each balloon. Blow up the balloons, fasten them and drop them onto the floor ready to play. Let kids take it in turns to either jump on a balloon or pop it using a cocktail stick/ bbq skewer, then find the message and read it out loud. Can they do the act of kindness as quickly as possible? Keep playing with as many ideas/ balloons as you've got ideas for! Write some simple acts of kindness onto strips of paper, such as "give someone a hug", "tidy up three things" etc Then fold them and put one inside each balloon. 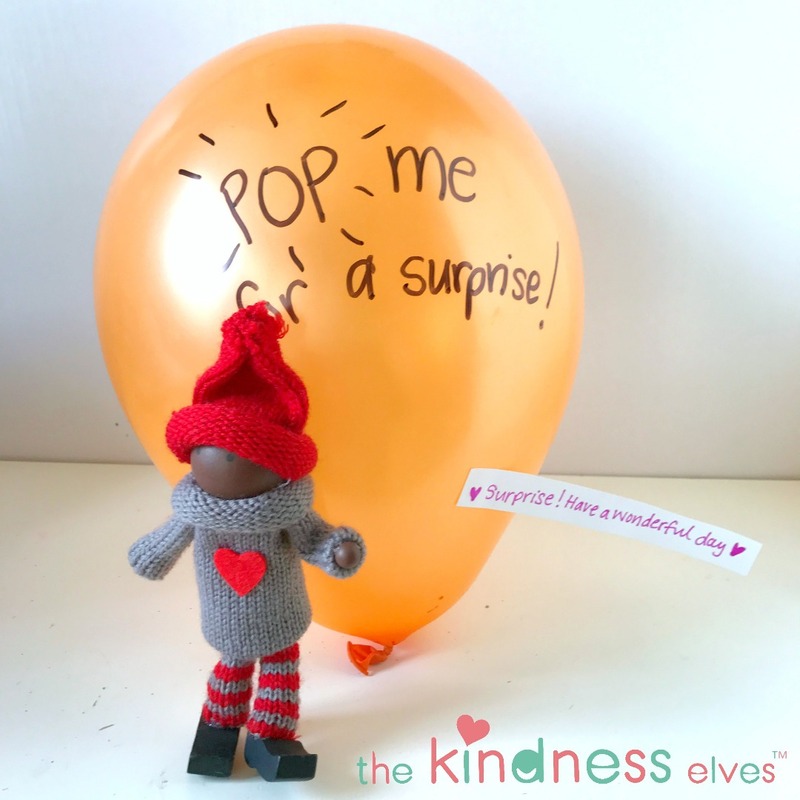 The Kindness Elves LOVE thinking of fun activities like this one. You can find plenty more here on our website and over on our social media channels. 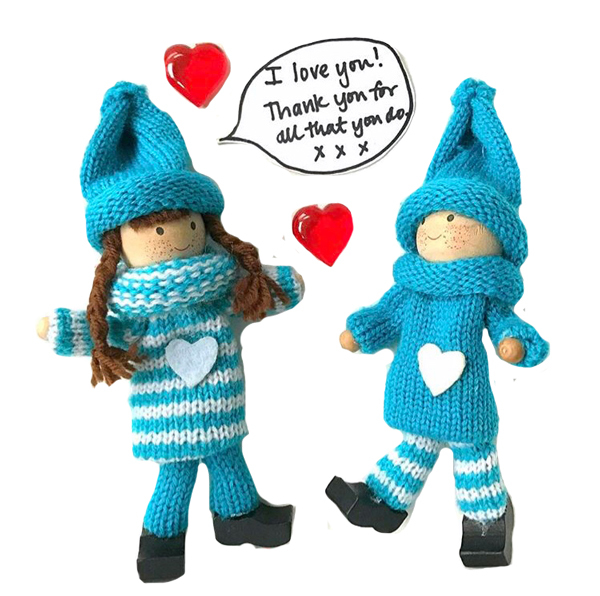 We also love to see your ideas and how your Kindness Elves have inspired acts of kindness in your homes and schools. Please share with us!